Swaziland - Where We Work - International - World Education, Inc.
Over the past decade in Swaziland, serious drought and a rapidly growing HIV epidemic—whereby one-quarter of the population is living with HIV, more than any other country in the world—have resulted in dramatic increases in poverty. Sixty-three percent of Swazis are living below the poverty line and economic constraints in recent years have crippled social service delivery, while worsening food security has pushed the most vulnerable deeper into poverty. The convergence of poverty and the AIDS epidemic has been particularly devastating for children: the government estimates that 30-45% of Swazi children (approximately 130,000-180,000) are orphans and/or living in highly vulnerable conditions. These children either live in child-headed households, with over-burdened elderly grandparents or extended families, or with chronically ill parents and struggle to have their basic needs met. These statistics underscore the extraordinary need for effective social welfare service delivery in the country, particularly for children, as well as the need to get vulnerable children and families into the HIV continuum of care. 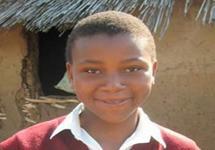 World Education began working in Swaziland in 2008 with the Bantwana Initiative. 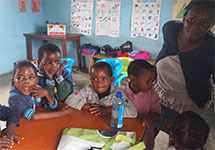 The Bantwana Initiative was launched in 2006 to address the growing crisis of orphans and other vulnerable children (OVC) and their households in sub-Saharan African countries with high HIV prevalence. 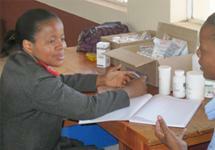 In 2008, Bantwana began working in Swaziland using a school-based model to provide support to highly vulnerable children. The primary goal in Swaziland is to provide comprehensive support to vulnerable children and families by building the capacity of communities, schools, and government officials to provide critically needed services. The HIV-focused Life Skills Education Program is implementing and monitoring a national curriculum in 220 secondary schools throughout Swaziland. Bantwana is providing critical early childhood stimulation training with an integrated set of nutrition, economic, and health interventions to rural, HIV-exposed mother-baby pairs in Swaziland. World Ed/Bantwana is supporting the launch of a national curriculum for HIV prevention, marking it the first government-supported national effort to provide HIV prevention information to secondary school students in Swaziland.